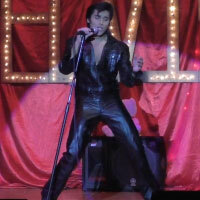 Dean Z has dedicated his entire life to honoring the legacy of Elvis Aaron Presley, the "King of Rock 'n' Roll." From his early days growing up in the high desert of Lancaster, California, to stages across the globe, he has shown time and again, he is one of the best in the business today. 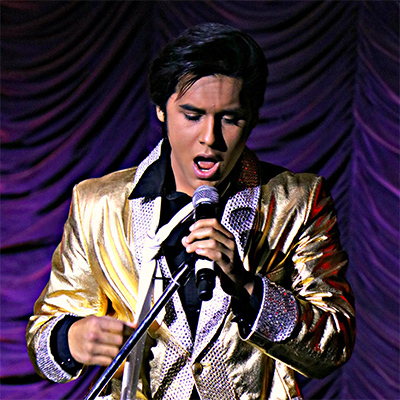 That was proven in August 2013 as Dean was named the 2013 Ultimate Elvis® Tribute Artist™ in Memphis during "Elvis Week" in a contest sanctioned by Elvis Presley Enterprises, Inc.
Born in Baton Rouge, Louisiana, Jay Dupuis grew up in a house where his father was a professional musician. 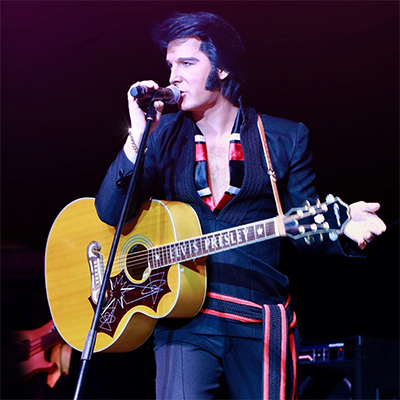 His love of Elvis began at the age of three, when his mom played a record of Elvis Presley singing 'Hound Dog'. Jay soon became a huge fan of the King of Rock 'n Roll and started impersonating Elvis for his family and friends at social gatherings. 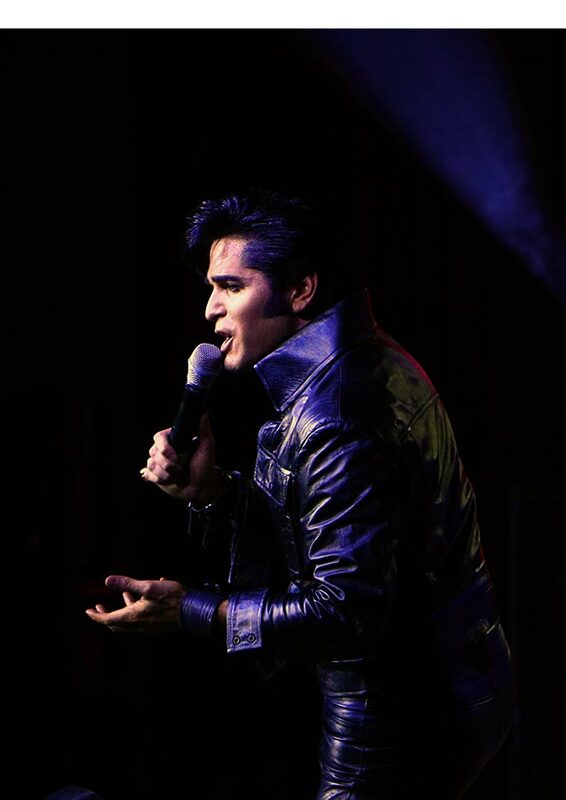 In 2014, Jay won the Ultimate Elvis Tribute Artist Contest in Memphis and travels the world performing his tribute to Elvis Presley. 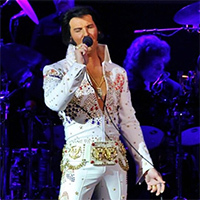 His vocal ability, incredible likeness, and natural charisma have made him one of the foremost, sought after Elvis Tribute Artists on the planet. His southern form and captive charm coupled with his uncanny sound and presence will make you feel as if you are watching the King himself. From the time Diogo was a small child listening to his father's Elvis records, he's been a fan! He began singing to audiences ten years ago and considers it a great honor to pay tribute to the greatest entertainer of all time. 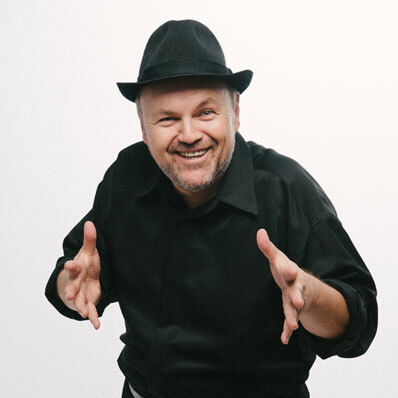 With increasing performances throughout South and North America and Australasia he has put his career as a defense attorney on hold so that he can follow his passion. Winner of the Lake George Elvis Contest for Early Years. Cote Deonath's interest in Elvis started at the age of two when his grandmother sat with him to watch the Elvis movie, "Follow That Dream." 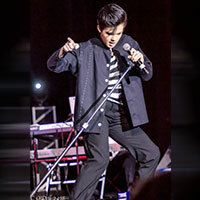 His first live performance was at the age of five and in 2014 Cote competed in the Georgia Elvis Festival, winning his first contest in the Non-Pro Division. He competed many times in the Youth Division at the "I'll Remember You" competition in Live Oak, FL, and there in 2015 won his first Professional Division competition. 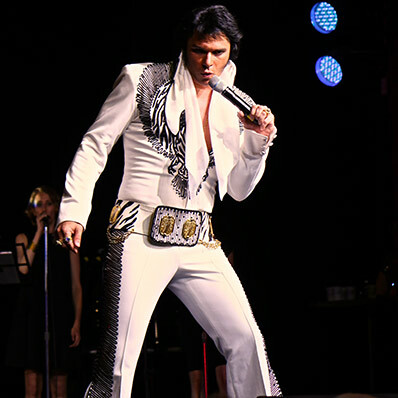 Cote wrapped up Elvis Week 2015 by winning Fan Favorite and champion of the Semi-Pro Division at the Images of the King competition. In 2016 cote won his first Ultimate qualifier contest at the Tampa Bay Elvis Festival and placed in the top 10 in Memphis. Cote qualified for the Ultimate in 2017 by winning the Tupelo Elvis Festival. 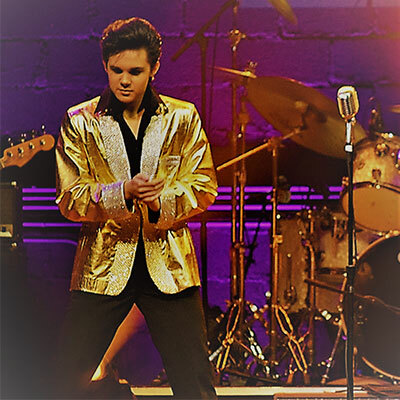 Riley Jenkins is a 16-year-old Elvis Tribute Artist, from Clarksville, TN. His love of Elvis started when he was 3 years old watching video and movies with his grandfather. He had performed at small school functions before going to Elvis Week in 2016 and taking part in the EPIC Youth Contest. He has won the Myrtle Beach Elvis Festival Non-Pro Division in 2017, the Images of the King Non-Pro Division, Elvis Week 2017 and 2018 Pentiction Non-Pro. He has also headline Festivals and preforms in versus shows across the country. He's grateful for the gifts that God has given him and the support of the family and friends. Victor J Hanson, also known as Victor J, was born and raised in Toronto, Ontario, Canada. As Victor says: "Living in a tough part of Toronto you either grew up a good fighter or as someone that could joke their way out of a fight ... I'm still a lousy fighter." He has performed from San Diego to New York and from Alaska to Las Vegas. 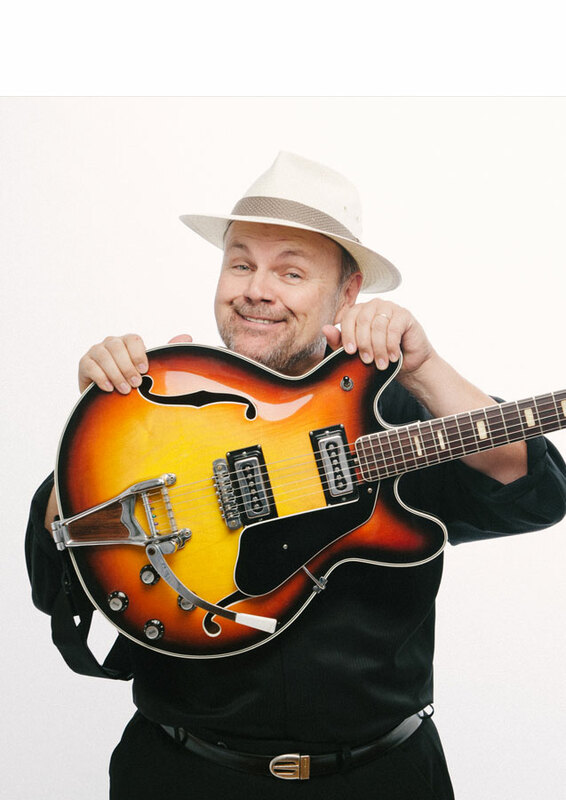 When not doing his One Man Corporate show for the Fortune 500 group you can find him performing as a Headline Act on Holland America Cruise Lines. The Casino Brothers Band will back up all the Headline performances as well as the semi-final and final of the ETA competition. The only Canadian band to be nominated best Elvis Tribute Band at The Elvis Industry Tribute Awards in Memphis. 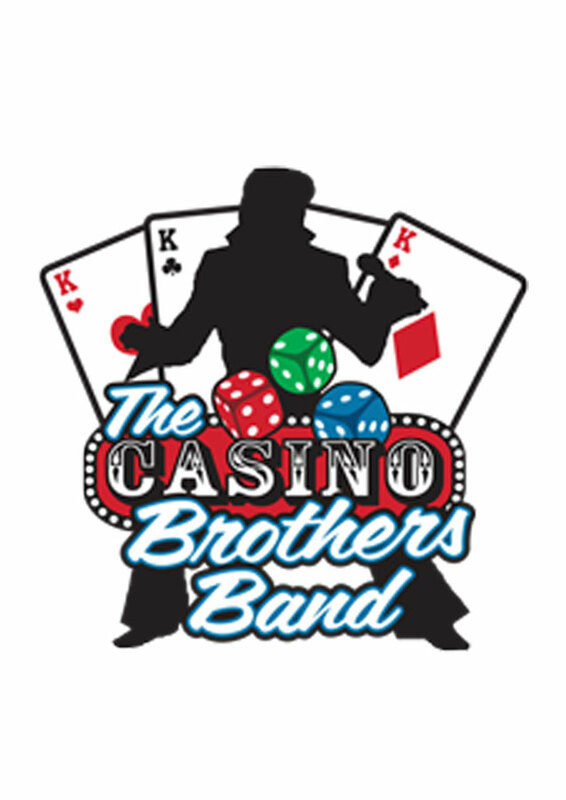 The Casino Brothers Band have been backing Elvis Tribute Artists from around the globe since 1999. 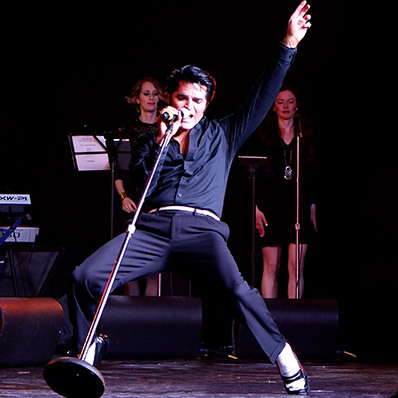 From showcases and theatre productions to competitions, the band pours their hearts and souls into every performance, capturing the authenticity of each era of the King of Rock 'n Roll. 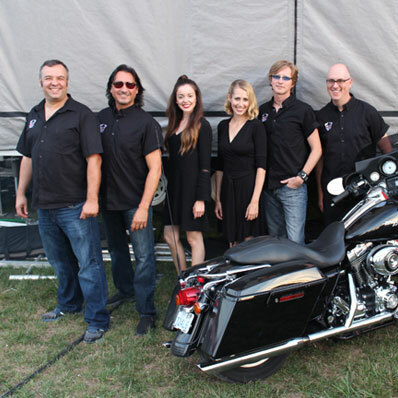 The band will be making their Niagara Falls Festival debut and are very excited to be involved.